My hood is discolored right above my battery, same color as rust if i recall but ill have to see ifnit actually is. That water finds all sorts of ways into our jeep man, I swear they can double as swiss cheese. Sorry to hear your views on police. Best of luck with the job stuff. 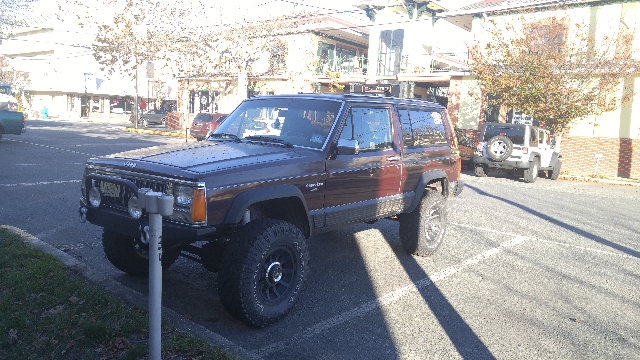 Still a great jeep man, i didnt have the skills, money, or time for b lees kit so ive got the ZJ set in the garage for tomorrow. Thanks, best of luck to you as well. 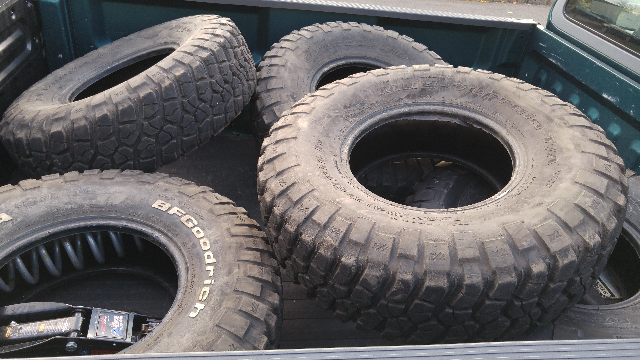 I'm just going to get adjustable uppers, center the axle in the wheel well and get 33s. At this point I'd rather not spend all the money to do all that work to run 35s and long arms. Ordered a new np242 extension housing and seal, mine has a crack in it when i pulled the old seal out, whoops, and the new seal is leaking again might be a bushing issue but the new housing will have that too so problem soon solved. I know me too. It's going to look mean. Last edited by unidentifiedbomb; 11-03-2015 at 07:52 AM. Got my RE Superflex Adj. Upper arms in the mail today from Serious. Took just 3 days to get here, amazing. 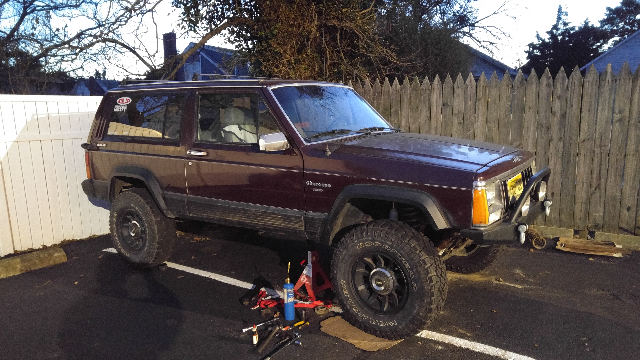 Now I just need to pick up an axle so I can do the great swap. Nice. I see a coil spring hidding in there. Coincidence? watcha running for shocks there? So today I swapped out my D30 for a newer one without bad bearings. 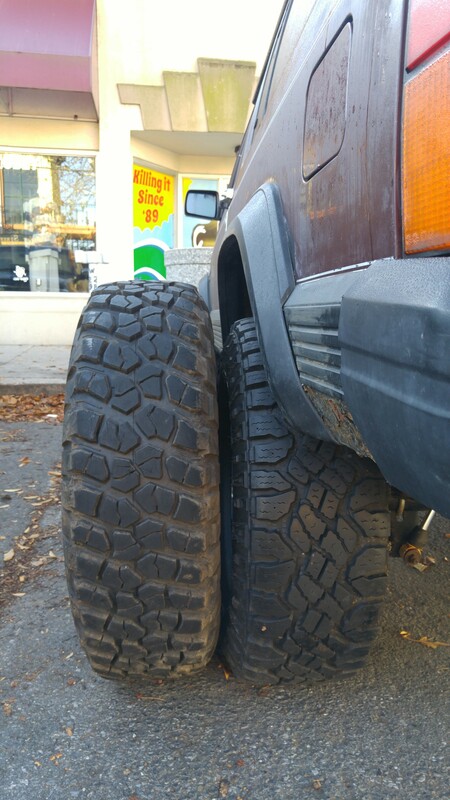 Also adjusted my arms to push the axle forward, installed the new RE uppers. Also, swapped out my Rusty's coils for some RE springs to level it out and ditch the spacer. All in all it was not that bad but took way longer alone than expected. For readers, public service announcement: don't try to move and lift a d30 alone, it will not go well.